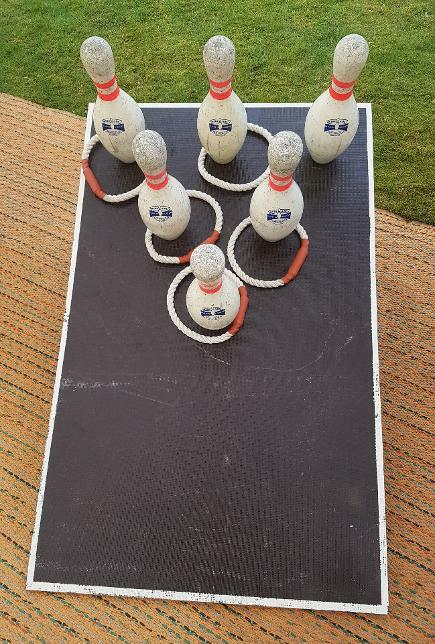 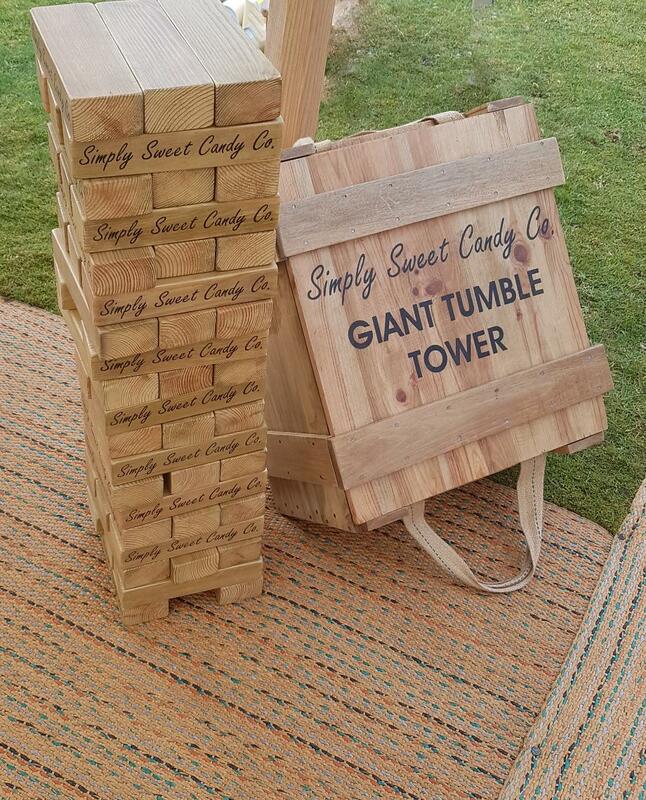 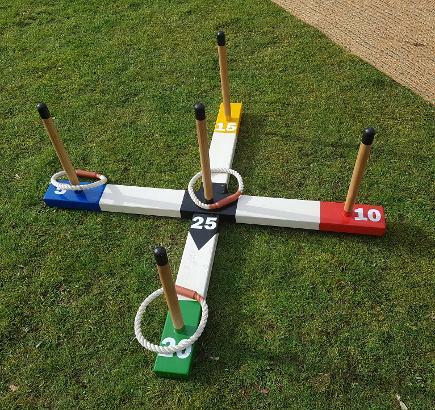 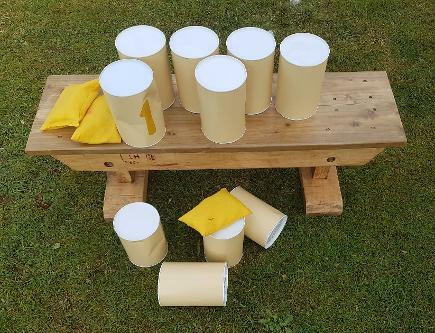 This is our handmade version of the popular QUOIT'S game, It measures 90cm by 90cm with pegs standing over 30cm tall. 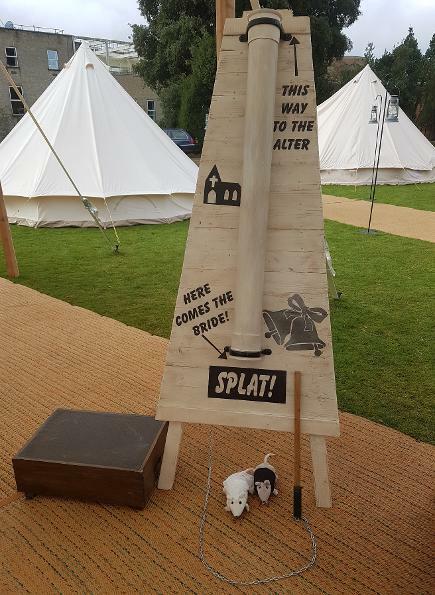 The box shown is for your smaller guests to stand on to help put the rats down the chute. 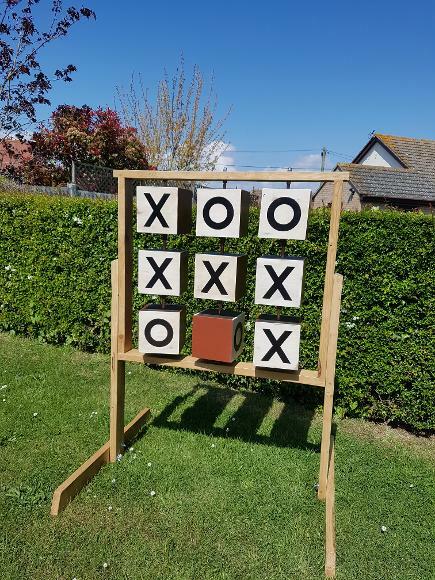 This is our own version of the TIC-TAC-TOE / O&X's game, It stands 120cm tall with nine wooden cubes which all turn separately.